The survey was conducted by Just South Africa, a retirement income specialist. 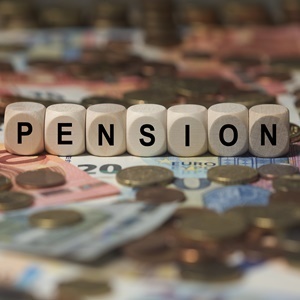 Deane Moore, CEO of Just Retirement South Africa, says this is concerning, especially considering that most people are not saving enough for retirement in the first place. This means "their pot of assets available at retirement is not sufficient to begin with", he warns. To get a better idea of the crisis in SA, Just surveyed a group of South Africans between the ages of 55 and 85 and living in the country's major metropolitan areas. A guaranteed income for life and leaving money for children and grandchildren turned out to be the most important needs for South Africans when reaching retirement, according to the Just Retirement Insights. When it comes to income in retirement, 89% of survey respondents wanted a guaranteed income for life (up from 86% in Just’s 2015 survey). The second most important aspect for 53% of respondents (up from 44% in 2015) is leaving an inheritance for their children and grandchildren. However, statistics from the Association of Savings and Investments South Africa (Asisa) show that 92% of retirees currently invest in living annuities, which do not cater for both needs, as these products typically do not provide a guaranteed income, according to Moore. "This unfortunately means that running out of money becomes a reality in later years and, as a result, the likelihood of being able to leave a legacy is severely reduced," he says. Furthermore, two-thirds of the research sample perceived themselves to be good at financial planning, but in reality, only 31% had done any calculations about how much they would need annually in retirement. The research also showed that leaving something for their wife was not a priority for 50% of the married male respondents. This only exacerbates the retirement crisis for any women who have not made their own independent provision for retirement, according to Bjorn Ladewig, longevity actuary at Just. When males and females were asked what age they thought they would live to, on average, males said 83 and females said 79. Ladewig says in reality, the opposite is true. In post-retirement a woman's life expectancy is three to four years longer than that of a man. The total life expectancy for a male at age 65 is 83 and for a female it is 87. "Unfortunately, living longer brings with it an increased risk of dementia, a degenerative disease of the brain that primarily affects the elderly and is currently on the rise. However, very few people plan for the effect that this disease would have on their ability to make sound financial decisions in retirement," says Ladewig. "Our survey showed that only 13% of people have thought about dementia or Alzheimer's and started planning to protect their financial future. About 15% had thought about it to some extent, while 72% have not thought about it at all." Among the respondents, 43% said they currently receive an old-age grant from the SA government; 46% indicated that they would rely on their children or grandchildren to take care of them and 30% said they would rely on the government to take care of them. "It is clear that we are in a retirement crisis. So how can we lessen the burden on family and the state and ensure sufficient retirement funding to last a long lifespan?" asks Ladewig. He says currently, most retirees purchase a living annuity to provide their retirement income. One of the reasons given for the popularity of living annuities is that, on death, the remaining capital can be left to beneficiaries. "The harsh reality is that those retiring do not have enough savings to sustain their income for life and their desire to leave a legacy will ironically result in them becoming dependent on their family or the state," he says. That is why he suggests the best product would be one that allows retirees to secure a guaranteed income for life and provide for a legacy for loved ones - should they not outlive their savings. "Not being forced to choose between a guaranteed income and a living annuity may assist in providing retirees with a more sustainable retirement income," says Ladewig.